It’s hard to even know where to begin when introducing Dai Andrews, this week’s guest on Movies and the Masses. Let’s start, I suppose, with what other people have said about him. Dai’s career started at the age of seventeen in his hometown of Baltimore, Maryland. In the years since then, he’s performed in more than thirty countries on five continents. He’s been photographed for Time magazine, appeared on TV more than 50 times (including Jimmy Kimmel Live and the Discovery Channel), and been featured in everything from Mental Floss Magazine to The Washington Post. When he’s not cheating death and wowing crowds across the globe, Dai enjoys restoring vintage motorcycles and cars, studying and teaching the Xingyiquan style of Chinese Kung Fu, creating metal sculptures, and gardening in the traditional Asian style. And best of all, Dai is available to entertain you and hundreds or thousands of your closest friends. He’s appropriate for audiences of all ages, plus he mixes in liberal doses of humor and an original performance soundtrack. 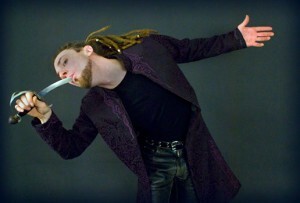 To read more about Dai and to obtain booking information, visit his site at Sword Swallower.com. 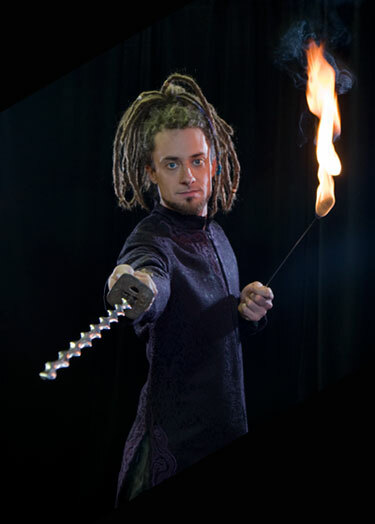 You can also read more about his multi-faceted magic act by clicking on Dai Andrews.com. Only Good Movies: What’s the first movie you remember seeing? Dai Andrews: I have vague recollections of seeing ET, but the first movie experience I really remember is going to the theater with my father to see Return of the Jedi. OGM: If you only had a few hours to live and could do nothing but watch five movies, which films would you select? OGM: What’s your favorite movie? DA: Fear and Loathing in Las Vegas; it’s witty, poignant and Johnny Depp really captures the essence of Dr. Thompson, who is one of my favorite authors, plus I am a huge fan of Terry Gilliam’s work. OGM: What’s your least favorite movie? DA: Any vapid cookie cutter film starring the current flavor of the month celebrity, take your pick. OGM: Do you subscribe to an online rental service like Netflix or Blockbuster Online? Why or why not? DA: I love Netflix, they have great service, reasonable pricing, great selection, no late fees, and their watch instantly service is fantastic…Blockbuster is the Devil. OGM: In 50 years, which modern movies do you think will be viewed as classics? DA: That’s a tough question, especially considering the sheer number of movies that are released these days, but I would say that the original Star Wars trilogy will be in that list for sure. OGM: If you see a movie based on a book, are you then more or less likely to read the book? DA: I’m more likely to read a book if the movie was good, but I am much less likely to see a movie if the book was good. I find most film adaptations of the books I enjoy to be terrible. OGM: Who’s your favorite celebrity? DA: I am not really interested in celebrities. I feel that an actor or actresses celebrity status can really get in the way of enjoying a movie and distract you from believing their performance in a role. I tend to avoid learning anything about the people who play the characters on the screen. Johnny Depp and Brad Pitt are great examples, they are both fantastic actors, but both are so famous that it takes a much greater effort to suspend disbelief and start seeing them in their roles as opposed to as their celebrity image. OGM: Is there any actor or actress whose movies you actively avoid? DA: Matt Damon and Ben Affleck come to mind, also any comedian who has obviously run out of ideas…I’m looking at you, Adam Sandler. OGM: How do you feel about all the remakes of older and classic films? DA: It really depends on the remake. Usually they are not very good, and I avoid them like the plague, but every now and then a good one will come along. Mostly, it depends on whether or not the director has anything new or interesting to add. For example, Rob Zombie’s remake of Halloween was a huge improvement over the original, in my opinion. OGM: Which actor or actress do you find most attractive? DA: If I had to choose, I would say Zhang Ziyi. She is beautiful, can act, and her Kung Fu is great! It’s very rare that an actor or actress can come out of the action genre and make the transition to real film, but Zhang Ziyi is as good in Crouching Tiger, Hidden Dragon as she is in Memoirs of a Geisha. Also, I’m a huge Kung Fu movie fan! OGM: Do you read movie reviews? If so, which critics do you read most often, and why do you like them? DA: I never read movie reviews, I couldn’t care less about someone else’s opinion of something so subjective as the experience of watching a movie. OGM: What type of people annoy you when going to a movie theater? DA: The people who annoy me the most are those who have no consideration for the experience of those around them, things like talking during the film and interacting with cell phones. OGM: Do you consider movies to be works of art? DA: I consider SOME movies to be works of art. Anything that evokes a strong emotional reaction from the viewer can be considered art. OGM: What type of candy or drink do you consider essential to your movie watching experience? This entry was posted on Tuesday, March 9th, 2010 at 5:23 pm and is filed under Movies and the Masses. You can follow any responses to this entry through the RSS 2.0 feed. You can leave a response, or trackback from your own site.